Biophilia has informed this garden’s permaculture design as well as its sculpted concrete walls. 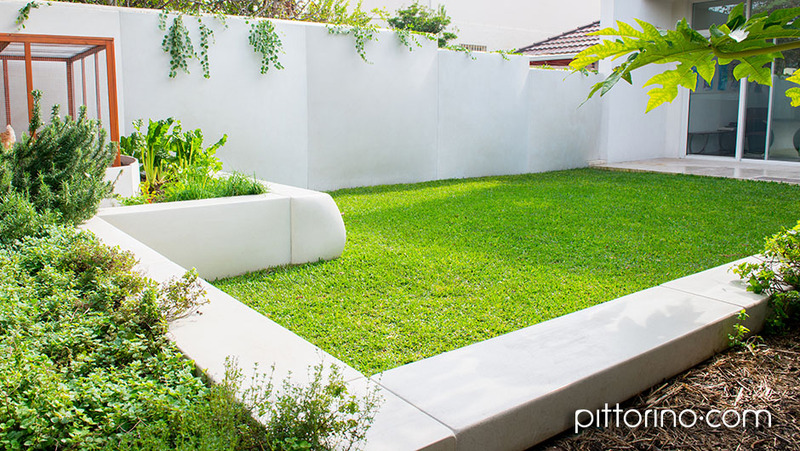 The garden boasts organic produce – edible plants and free range eggs – as well as organic shapes: the concrete units have been handcrafted to create soft, natural forms. 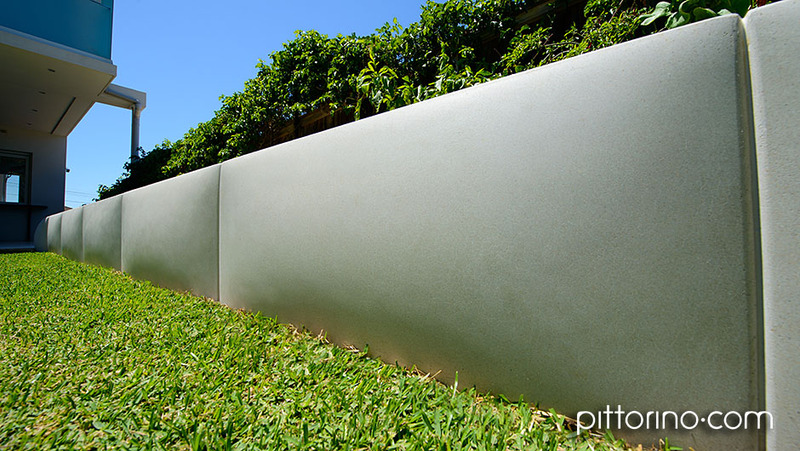 The concrete panels of the high wall are curved and measure around 4 square metres each, creating a sense of large, pillow-like clouds. The cavity between the structural concrete block wall and each of the billowing concrete panels is open at the top and bottom. It has been back-filled with soil to create a planter which is capable of allowing tap roots to descend below ground. 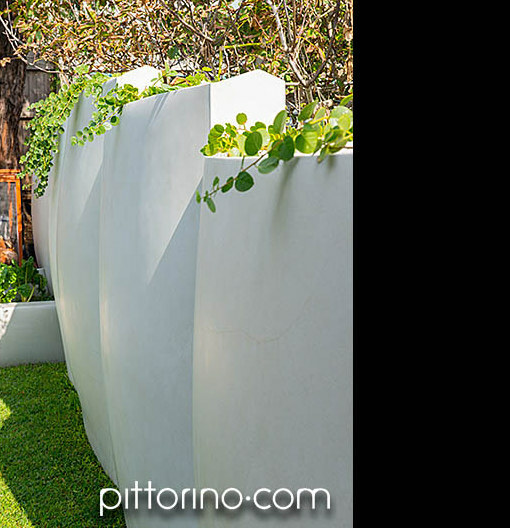 Curved hand cast concrete units envelop the low structural retaining wall, creating the look and feel of large soft cushions inviting visitors to lean back and relax. 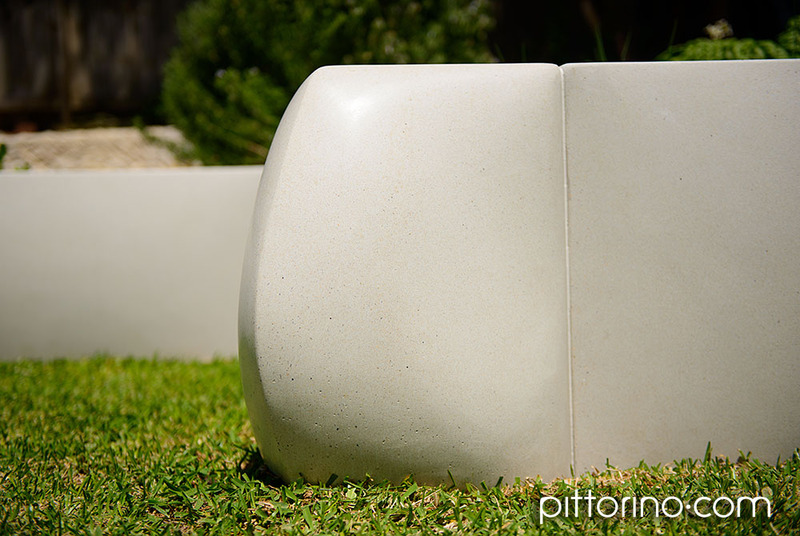 Each concrete unit has been individually crafted and lightly honed. 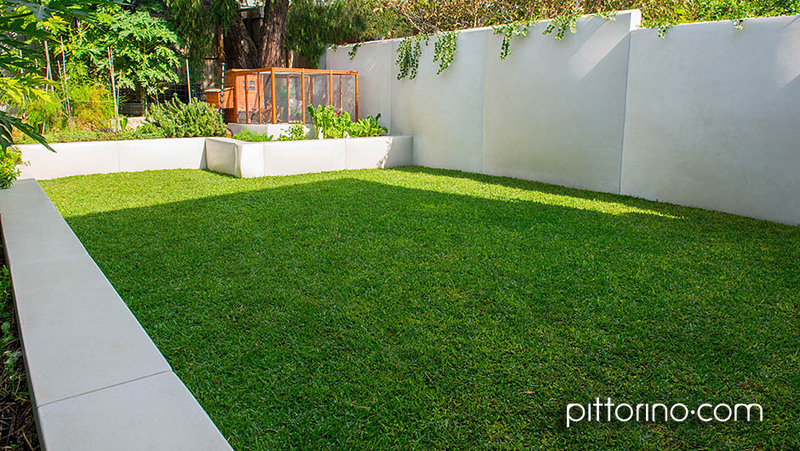 A neutral colour was chosen for this project to complement the soft, natural look of the garden. Please contact us for more information. You can also find further images and details about this work on our walls and planters web gallery.